One hundred and thirty minutes. That’s just over two hours. It’s a long time to wait to see a doctor no matter where you are in the world. Then after waiting for two hours, patients talk to a healthcare provider for less than 2 minutes – 140 seconds – before they are back out the door. 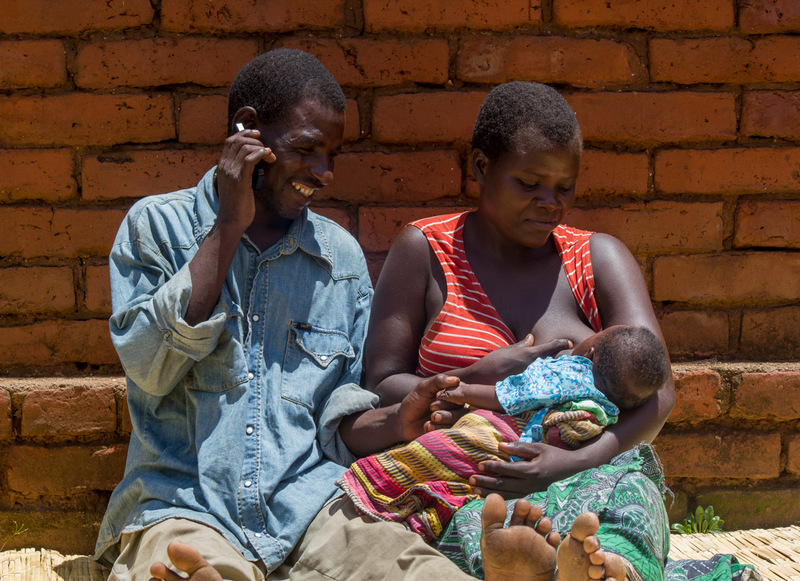 These are the average times spent waiting for and with healthcare providers in a rural health center in Malawi, where a recent study examined the flow of patients to help uncover opportunities for improvement. Jessica Crawford spoke about health delivery in last mile contexts. Global health innovation requires us to think beyond an individual product – it’s about creating space for “last mile thinkers” to meet with the scientists and engineers whose work influences medicine availability and healthcare access in low- and- middle income countries. 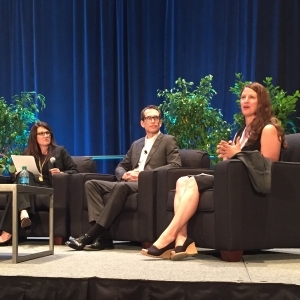 This is how VillageReach found itself on a stage next to representatives from GlaxoSmithKlein, Pfizer, Washington Global Health Alliance, and the Controlled Release Society, engaging in conversations about what medicine delivery means in the context of global health. Graduation season is upon us. It’s a time of reflection for those about to embark on a new phase of their lives. For many this means entering the workforce for the first time, a pivotal life moment. At VillageReach, we recently celebrated the graduation of the second cohort of pharmacy assistants. 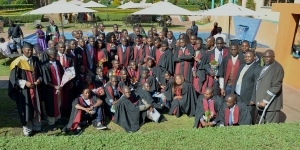 Once deployed, these 85 graduates will begin careers as employees of the Malawi Ministry of Health and will be placed in rural, public-sector health facilities across Malawi. 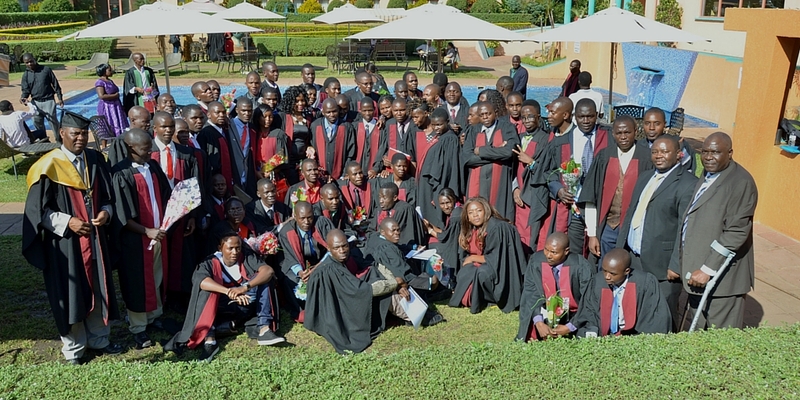 The 85 graduates will join their previous cohort who are already working in the field and making significant improvements in the quality of medicines management and patient care at the last mile. But this recent event is not the only graduation we’re celebrating. In 2014, Africa.com published a list of the 10 jobs that will be the most sought in Africa in the near future. 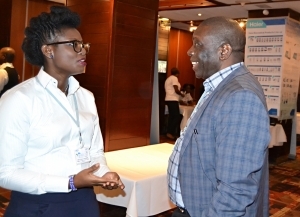 It comes as no surprise that logistics and supply chain management related jobs made it to the list, identifying supply chain managers as a driving force of economic growth in Africa. After attending the recent Immunization Supply Chain Leadership Conference in Abidjan, I felt that this was also true for the public health sector. The eleven African countries represented were all speaking with one voice: they need the right person at the right place to lead the next generation of immunization supply chains (iSC). Donor support and new partners like Johnson & Johnson will help expand and enhance CCPF in the coming year. We are pleased to announce that Johnson & Johnson Corporate Contributions has become one of the key partners in championing Chipitala Cha Pa Foni (CCPF) as it advances towards national scale. 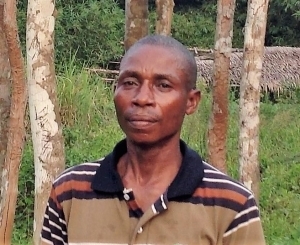 Johnson & Johnson Corporate Contributions is a known supporter of community-based health care solutions that strengthen the health workforce, save and improve the lives of women and children and prevent disease among the most vulnerable. 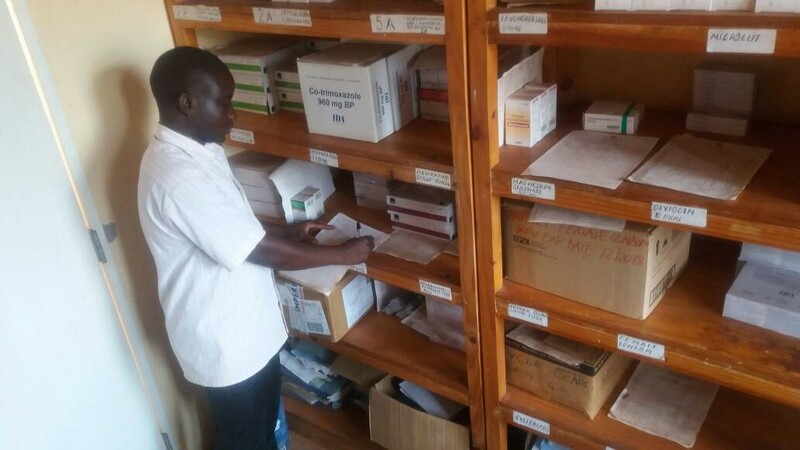 Leadership: The magic bullet of immunization supply chains? 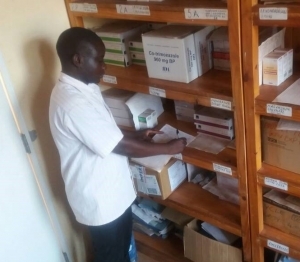 A lot of attention is currently being paid to immunization supply chains (iSC) and how to improve their performance in order to absorb new vaccine introductions and leverage new technologies, all while being efficient and effective. It’s no small task. And generally, the conversation centers around the concrete components of the supply chain, such as cold chain equipment, shifting tasks to reduce the burden on health workers, or optimizing transport loops. It’s time for New Year’s resolutions. Most of us make them. And inevitably, most of us break them. Last year I gave up added sugar. And on New Year’s Eve, as I nibbled on salted almond chocolate, I had to admit that I had given up on that resolution back in February. Yet nonetheless, while chewing on that same candy bar, I made a new resolution – spend more time having fun outdoor adventures. Luckily, this year I am armed with some research that shows that those of us who proclaim our resolutions publicly (check!) and set specific goals (do at least one outside activity- such as hiking, skiing or a long bike ride- per month) will be more likely to succeed. Following these same principles, VillageReach is proud to publicly announce its New Year’s resolution: eliminate stockouts. In response to this article by Dr. Mahad Ibrahim on the role of data during the Ebola outbreak, some interesting questions were sparked among our team. The piece evoked a lot of great insights about the opportunities and challenges the piece addresses, as well as how we see those topics evidenced in our VillageReach work. This topic is of particular interest to us, as we and our partners at the University of Washington are actively developing and testing an open-source tool for paper to digital data conversion, ODK Scan.